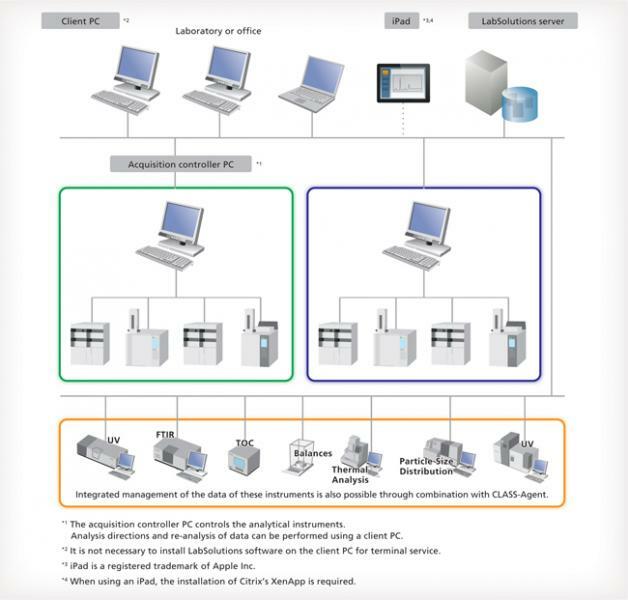 LabSolutions DB integrates a data management function with LabSolutions LC/GC and is compliant with the ER/ES Regulations. It is optimally configured for customers using a PC. Since all analytical data are managed in the database of a server computer, LabSolutions CS can read data from any personal computer on a network. In ddition, analysis directions and instrument monitoring and control can be performed from a personal computer (client PC) not connected to the instruments. Moreover, client PC functions are performed on a server and client PCs corresponding to a Windows terminal service do not need to install LabSolutions software.Furthermore, LabSolutions CS corresponds to Citrix XenApp and can perform more advanced server management. You can download a PDF copy of the LabSolutions CS Flyer once registered for literature service on our website. Registration is free and only takes a few minutes.